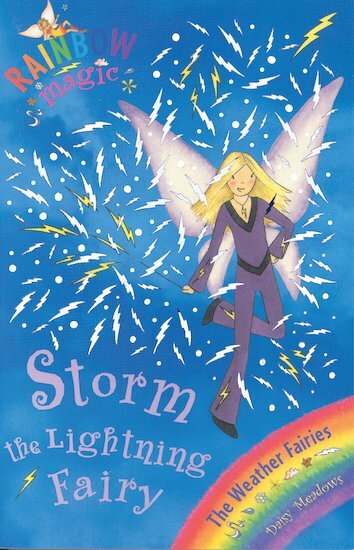 Storm the Lightning Fairy can’t stop the sky from fizzing without her glittery lightning feather. Rachel and Kirsty must lend a hand – before a loose lightning bolt causes terrible trouble! Storm makes sure lightning comes when it needs to. Lightning is very scary and storm looks a bit scary too. Really Good!